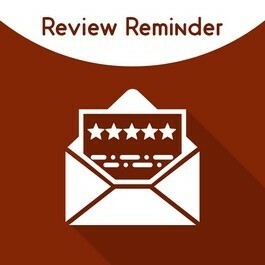 Magento 2 review reminder extension by MageComp let the store owner send review reminder mail to their customers for serving review after specified days. Option to enable or disable extension. Allows store owner to collect more reviews from their customers. Extension uses cron job setup to send reminder mail to customer for providing review once purchased is done. Backend option to set days for sending review reminder mail. Over the period of time, product reviews became important for Ecommerce stores to build trust and gain better ranking over search engine. Also, people are likely to buy more from the store that contains positive reviews or product is recommended by store customers. A constant stream of reviews can help a lot to store owners to build an online reputation and drive more traffic and sales to Magento store. 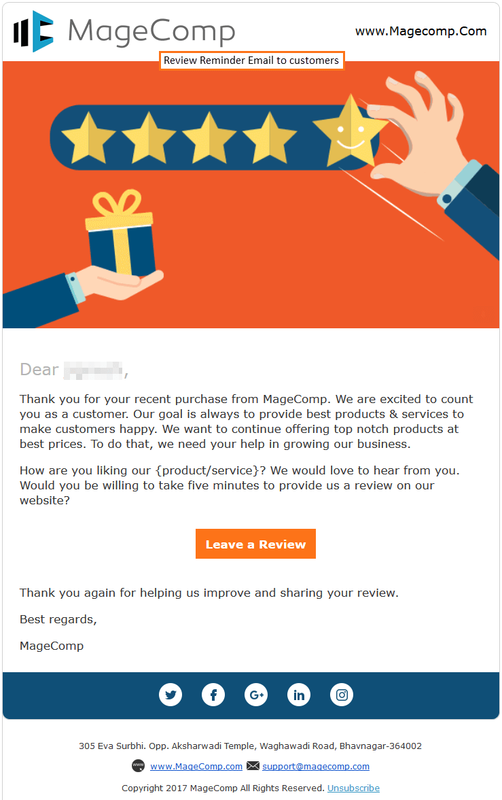 MageComp brings Magento 2 review reminder extension that will help store owners remind their customer to serve review for the product they have purchased in the past. The extension is designed to send an automatic mail to store customer using cron job once the purchased status is transformed to complete.